CHICAGO (Reuters) - Consumer goods companies, emboldened by a strong U.S. economy, are rolling out price increases on everyday products and groceries after several years of haggling with big retailers that needed cheaper products to attract customers. Walmart Inc (WMT.N), Target Corp (TGT.N) and other grocers have kept prices low over the past two years to fend off growing challenges from Amazon.com Inc's (AMZN.O) Whole Foods Market, German discount supermarket Aldi Inc, and others. Companies including Procter & Gamble Co (PG.N), Kellogg Co (K.N) and Hershey Co (HSY.N) have told grocers in recent months that they need to raise prices on some products, as commodities costs surge and truck fleets hike rates. Tariffs resulting from international trade disputes have also pushed the cost of some raw materials higher. "They are finally able to take the price now because the economy is hot. Consumers have money and wages are finally up," said Storch, the former CEO of Hudson's Bay Co (HBC.TO) and ex-vice chairman of Target. Many companies, including P&G, Kimberly-Clark Corp (KMB.N) and Kellogg, have invested in product improvements and in making them more attractive to consumers with increased disposable income to justify higher prices. "Our teams sit down together and look through what it (higher cost) means and we push back hard. 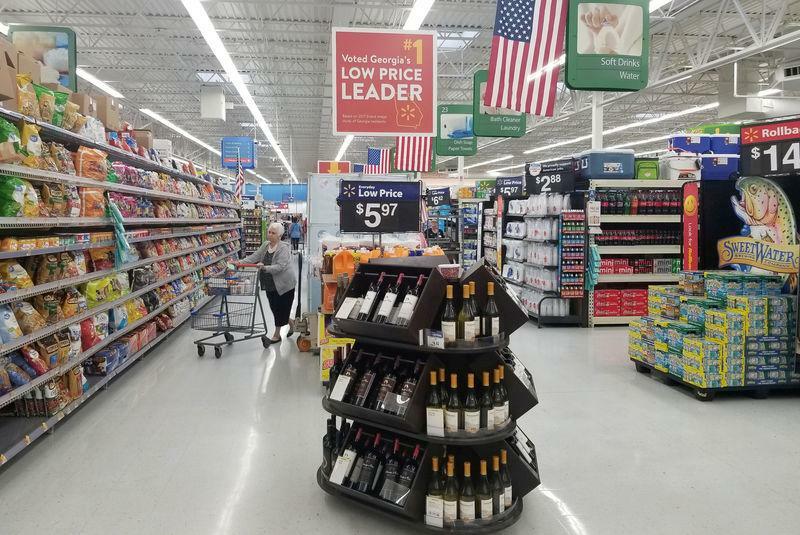 We have good honest debate and discussion about how to manage costs together," Walmart Chief Merchandising Officer Steve Bratspies told Reuters last week in a joint phone interview with Hershey CEO Michele Buck. "It's been a tough environment the last seven or eight years, but we see a more inflationary environment going forward," Kellogg CEO Steve Cahillane said in an phone interview. P&G's board, for example, includes activist investor Nelson Peltz. "Commodities costs have just gone up so much that they almost have no choice" but to raise prices, Bernstein analyst Ali Dibadj said. "Many investors think pricing is the panacea for higher costs."